I have 70mm and 55 mm edf units that need an airplane. Since I am almost finished with my SE 5a(ish) bipe and my red-tailed hawk scratchbuilds, its time for my ADD to focus on another project! I hope to build a thrust vectored jet of some sort with for the 70mm. No thoughts whatsoever to do with the 55mm. I've searched the many sites with plans, but I want the thrust vectored jet to be an original design by me (once again, ). And, in direct opposition to that statement, I ask this question: does anyone have any thoughts on an airframe? 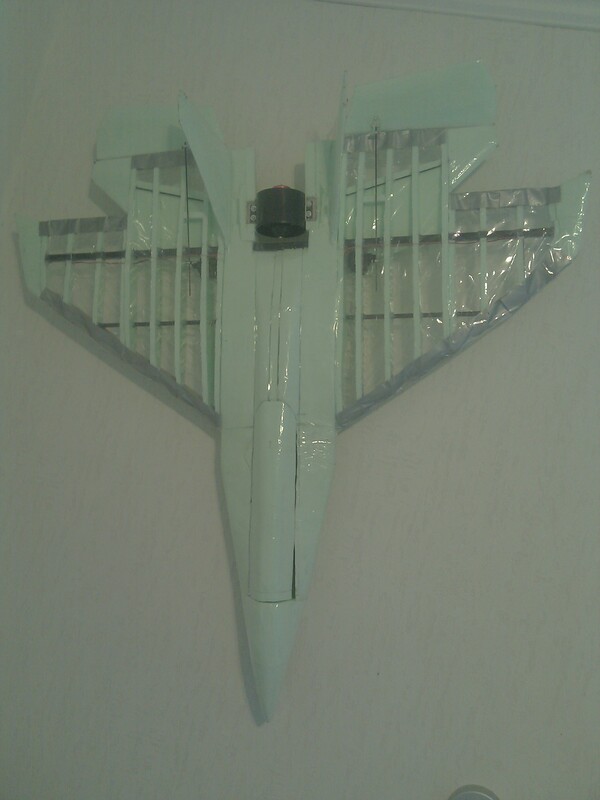 Ed's Fugly Jet made into a vectored thrust unit. Perfect for you, Perfect for Experimental Airlines Contest. You are a sucker for pain. Some sort of variation of a Eurofighter/F22/F35 is probably the kind of airframe you are looking for. Yeah, I know-I'm going to drive myself crazy with this. I'm hoping to do a really fancy scratchbuild with compound curves and such. Toss thrust vectoring on top of that... But, I have the summer off and time to kill! Very cool, Foskje! That is exactly the sort of thing I am looking for! I think the flying eyball needs an EDF fan. The flying eyeball had a 50 mm edf. It lived up to the eyeball portion of the name, but the flying portion was somewhat lacking! Bonez - check out the pics I just posted of my biplane build (that I began last November). She is coming out Beastly!